Android and Windows smartphone users will experience a new level of performance with Qualcomm’s flagship Snapdragon 810 chip, set to go into devices later this year. But the company is teeing up an even faster and more power-efficient successor, the first chip based on its homegrown 64-bit architecture. Qualcomm will shed its reliance on outside technology with an internally developed architecture that it will use as a blueprint to make its next-generation chips. The homegrown architecture will first be used in high-end Snapdragon chips for premium-tier products, said Tim McDonough, vice president of marketing at Qualcomm. 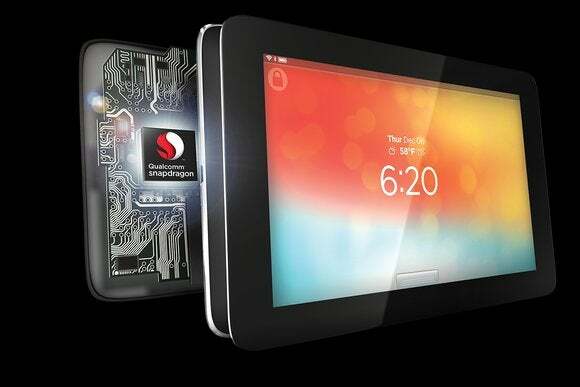 The new Snapdragon chips will be shipped for testing at the end of this year, McDonough said. The new chips will likely belong to Qualcomm’s high-end Snapdragon 800 line. Existing Snapdragon 800 chips have been adopted for smartphones from companies like HTC, Xiaomi, LG and others. For now, Qualcomm is relying on off-the-shelf mobile processor designs from ARM to make its 64-bit chips. The reliance on ARM designs will continue on its mid-range and low-end Snapdragon chips. However, designing chips internally is important for companies that want to tune software to work effectively on hardware. Qualcomm itself offers software technology such as AllJoyn, which helps consumer electronic devices identify and communicate with each other, that has been specifically designed to work well with its internally developed chip architectures. Companies can get more performance and battery life from smartphones and tablets through this sort of optimization, said Jim McGregor, principal analyst at Tirias Research. For example, it becomes easier to allocate tasks to run in specific CPU cores or digital signal processors (DSPs), which is a more power-efficient way of running applications. A range of companies, including Apple, LG Electronics and Huawei, tune their technology to internally designed chips. Samsung has reportedly dropped the Snapdragon 810 in favor of its own Exynos chip for its upcoming flagship Galaxy smartphone. In the 64-bit realm, Qualcomm was caught off-guard when Apple released its internally designed A7 mobile chip, which was first used in the iPhone 5S in 2013. Qualcomm hurried to provide its smartphone and tablet customers with 64-bit processor options, and had to rely on standard ARM processor designs as its homegrown architecture wasn’t ready.